A dietary supplement based on herbal ingredients useful for integrating the diet when these nutrients are lacking or there is an increased organic requirements. 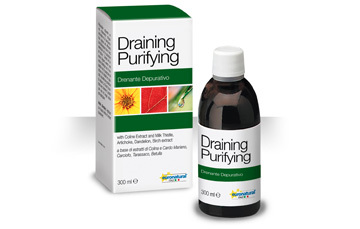 The herbal component of this product enables the product to be defined as a dietary supplement useful in aiding the body’s physiological purifying and draining processes. Rich in active phytochemicals as sylimarin, polyphenols and flavonoids, it is active in fighting fluid retention and it’s really powerful in cell detoxification. The recommended dose is of 20 ml diluted in 1-1,5 litres of water during the course of the day, 2-3 cycles of treatment are advised.